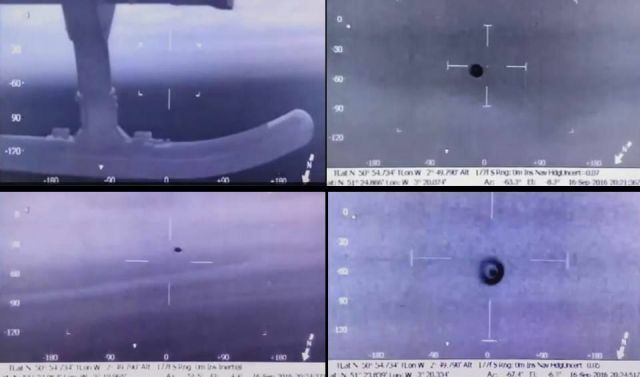 Police baffled by UFO captured on helicopter's thermal imaging camera 1000 ft above Bristol Channel. The invisible object, which could not be seen with the normal eye, was captured by thermal cameras. The footage was filmed by the South Wales police helicopter while they were flying 1,000ft over the Bristol Channel on September 16, 2016. The police have ruled that the object could be a Chinese lantern or a balloon because the heat and movement as it was said to be flying against the winds at the time and the UFO was not seen on the radar by air traffic control. The video below shows the UFO shot by the police helicopter.